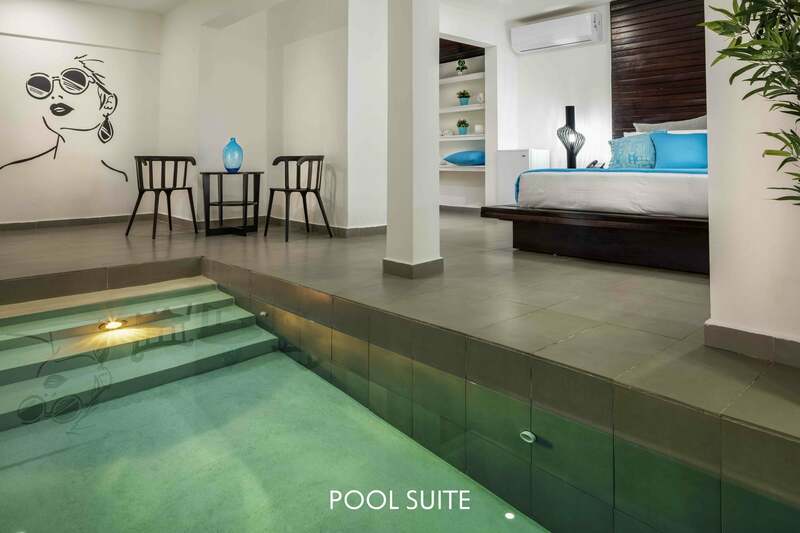 The pool suite is our unique version of an oasis. The 56.3 m2 open floor-plan provides, at first sight, a sense of calm and relaxation. From the 4-foot deep full-size pool to the Ahnvee Signature king bed and coralina European-styled bath, all of our pool suites are equipped with wifi, flat screen TV with multi-channel cable and a mini fridge for that bottle you brought for two.